Gretchen Tine and Addie Robinson, two three-year-olds from Patterson, have a blast in their own mud-filled kiddy pool. 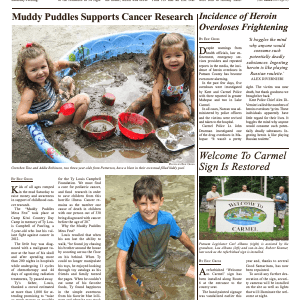 Photos by Eric Gross Kids of all ages romped in the mud Saturday to raise money and awareness in support of childhood cancer res… Please login below or purchase a subscription to the Putnam County Courier to access this content. Despite warnings from health officials, law enforcement, emergency services providers and repeated reports in the media, the incidence of heroin overdoses in Putnam County has become even more alarming. In the past few days, five overdoses were in… Please login below or purchase a subscription to the Putnam County Courier to access this content. Putnam Legislator Carl Albano (right) is assisted by his grandson, Lou Albano (left) and son-in-law, Robert Kramer, last week as the refurbished sign is installed. Photo By Eric Gross A refurbished ‘Welcome to Carmel’ sign has been installed along… Please login below or purchase a subscription to the Putnam County Courier to access this content. The Putnam Visitors Bureau will once again serve as the lead agency in making applications for and receiving grants through the state’s Tourism Promotion The county Legislature approved the measure at its regular monthly meeting last week before a sp… Please login below or purchase a subscription to the Putnam County Courier to access this content. 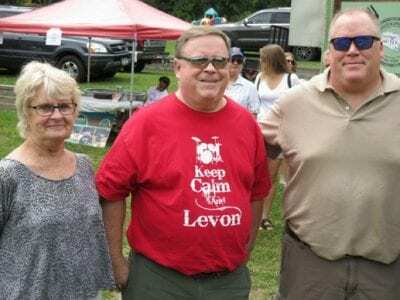 Above: Mayor James Schoenig, Village Clerk Peter Brewster Hansen and Village Trustee Mary Bryde enjoy the afternoon. At Right: Ray and Andrea Iraci of Brewster attend the event with their daughter Avery. Below: Putnam Courier publisher Doug Cunningha… Please login below or purchase a subscription to the Putnam County Courier to access this content. The Putnam Legislature has agreed to expend $160,000 to form a task force committee to explore the feasibility of creating intergovernmental partnerships to expand sewer service. The partnerships would be between the county and the City of Danbury as… Please login below or purchase a subscription to the Putnam County Courier to access this content. Above: Eleven year old Sofia Bueno of Kent Cliffs, a 6th grader at the Carmel Middle School, volunteered her time at the event by creating crafts for younger children. 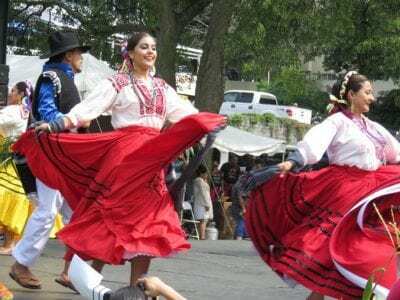 Top: Mexican dancers wearing colorful costumes performed before appreciative audie… Please login below or purchase a subscription to the Putnam County Courier to access this content.